Today’s post features the first of four items to be featured in January. 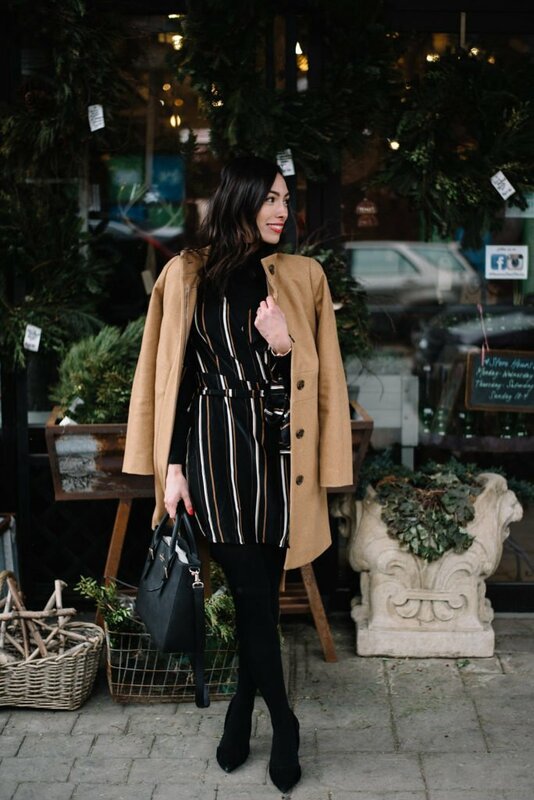 If you’re finding new ways to love your old and new pieces this month, then share your photos on social media with the #WKLoveYourCloset to show me your favorite pieces and different ways you styled them! Up first: a striped wrap dress. 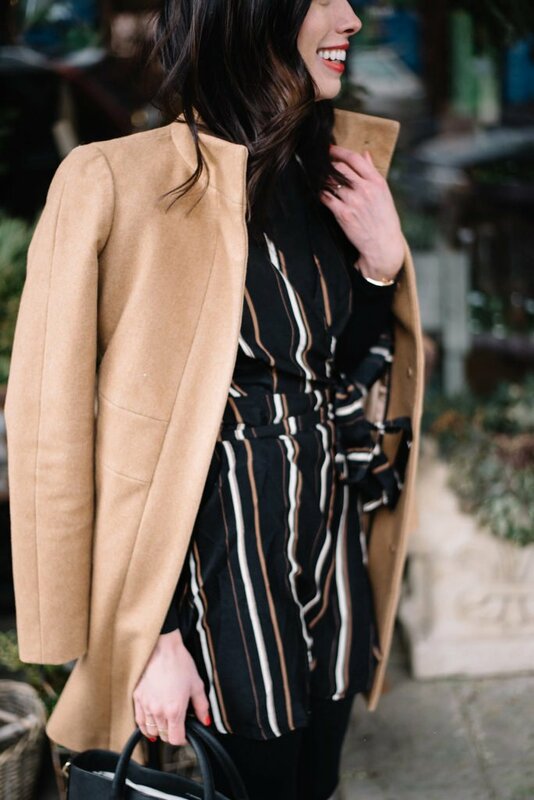 There’s nothing more versatile or flattering than a wrap dress, and this one, in a simple and neutral stripe, is one of the best ones I’ve come across in a while. 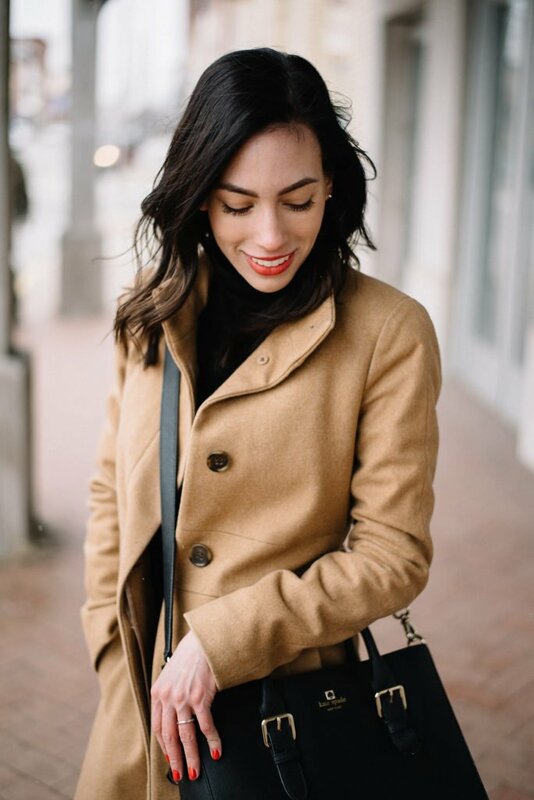 This week, you’ll see me styling it for work, weekend, and a night out, and–in all honesty–I don’t think I can choose a favorite look from the three. This dress is a chameleon; I had a lot of fun experimenting with ways to style it. 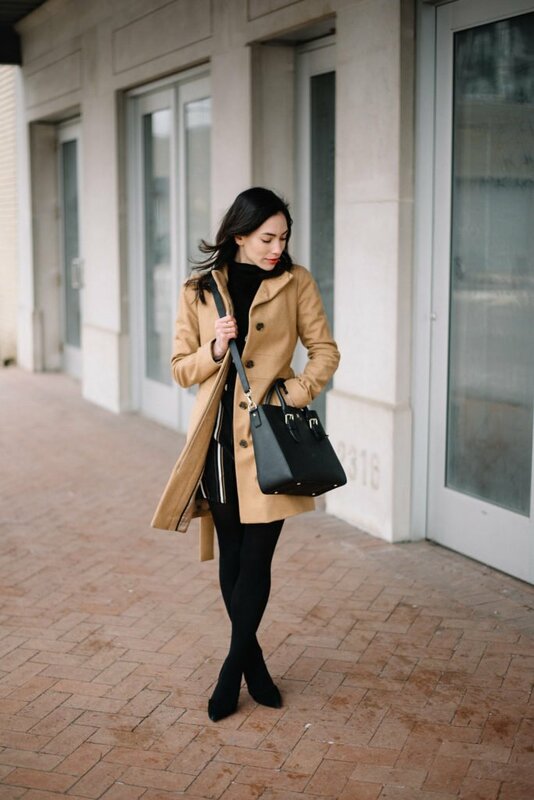 For added coverage, layer a fitted turtleneck underneath and add a pair of tights for warmth. Wear with black pumps, ankle boots, or even knee high boots. Keeping accessories simple for the office is a staple for me, so I’m wearing only a watch, bangle and pair of gold studs. Check back later this week to see how I’ve styled this versatile wrap dress for a dressed up night out and for the weekend.